Blues fans are begging and pleading with their team to keep a player widely regarded as their best academy product in a generation from the German champions' clutches, while turning a blind eye to rumours that the 18-year-old has actively requested the move. But it seems as though they're fighting a losing battle. As it stands, it looks as though CHO is leaning towards the exit door. And truthfully, he is absolutely right to want to leave Stamford Bridge. If the reports of a transfer request are true, you can be sure that the winger won't have made that decision quickly. Hudson-Odoi has been at the club since 2007 and has spent those 12 years dreaming of turning out for his boyhood club. If only ​Chelsea had been dreaming of the same. The Under-17 World Cup winner then went on to enjoy a stunning pre-season, prompting manager Maurizio Sarri to admit to reporters (via ​Goal) that he was ready for a role in the first team. So, where did it go wrong? Most fans didn't want Hudson-Odoi to start the season as a regular in the starting lineup. Instead, they simply wanted to see him given a fair chance to impress, but he was not given anything close. ​Willian and ​Pedro dominated the lineup, even when they were underperforming. Willian has drawn the frustration of countless fans for his inconsistency and poor decisions, yet Hudson-Odoi was never given a chance. He couldn't get into the lineup when Willian and Pedro were playing well, and he couldn't even crack the lineup when they were playing poorly. Why would Hudson-Odoi want to stay at a team who clearly are not as committed to him as they say? Meanwhile, ​Bayern are offering huge sums of money for his services and ​Niko Kovac is promising him that he would make an immediate impact with the Bundesliga giants. They are not just talking the talk, but they are walking the walk and proving they would be committed to the young winger. 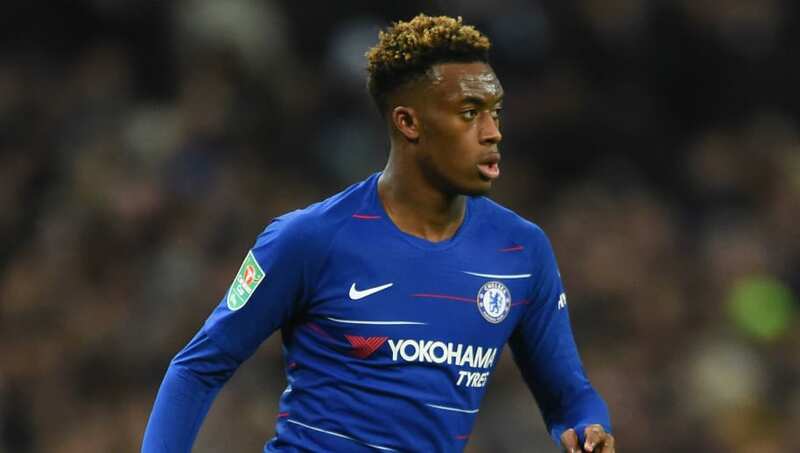 Hudson-Odoi may have started the last few games, but it certainly seems as though that is simply in an attempt to fend off Bayern's interest. It shouldn't take the (very real) threat of his departure for Chelsea to listen, but it has. The Blues are only showing interest in his development because they have been forced to, not because they wanted to. If they truly cared, Hudson-Odoi would have more than 42 minutes of ​Premier League action to his name this season. It now comes down to Hudson-Odoi. Is he convinced by Chelsea's desperate last-ditch attempts to salvage their relationship, or is he convinced by Bayern's astronomical financial commitment?